No pedal will be safe for kids' feet. Handlebar limited, no 360 degrees turning to avoid baby's side falling over. Reasonable Seat height designed with baby's height golden ratio. 2.Children should be used under adults ' supervision and guidance. 3.Wipe with a damp cloth using soap water only to remove dirt and dust. 4.This mini walking bike is not to be used in traffic. 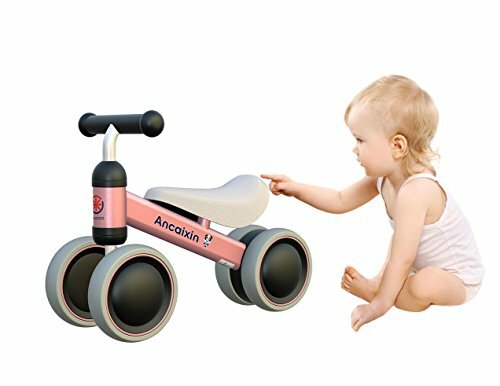 If you have any questions about this product by Ancaixin, contact us by completing and submitting the form below. If you are looking for a specif part number, please include it with your message.